Enter the desired LENGTH & WIDTH. Enter Fractions as Decimals. Standard Side Flange Height is 2 Inches. Order 3 Inch Side Flange Height Here. Order 4 Inch Side Flange Height Here. Order 5 Inch Side Flange Height Here. Add a Drip Kick on the Side Flange Here. NO FLUE HOLE is the Standard Configuration. Order 1st FLUE HOLE here. Order 2nd FLUE HOLE here. Order 3rd FLUE HOLE here. Enter the Length & Width in the boxes above. 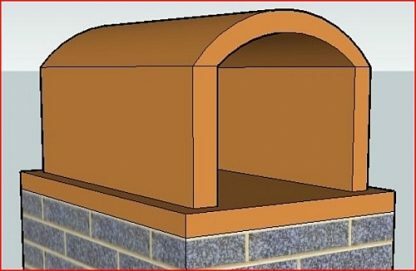 Please measure all four sides, since some chimneys/chases are not perfectly square or rectangular. 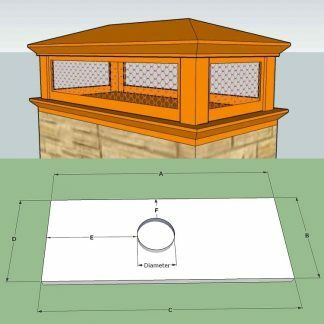 Use the Chimney Cover Measuring Guide for measuring directions. Locate the hole(s) desired and email us that info. 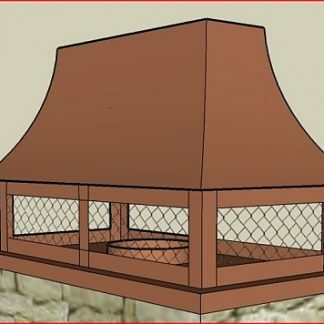 Square and rectangular openings are also available. 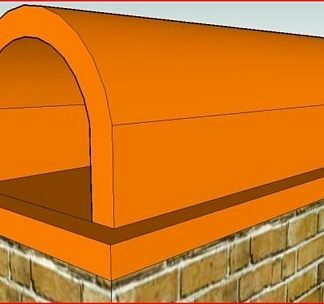 Standard Side Flange Height (the band that wraps around the top of the chimney and provides the fastening area) is 2 inches. Shipped fully assembled. Tools needed: Drill, Phillips screwdriver, measuring tape, and a caulk gun. 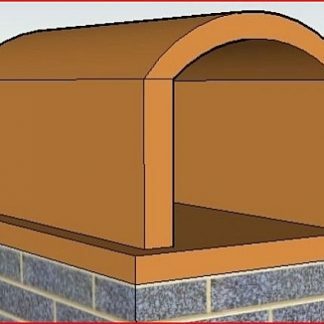 The top is removable for flue cleaning. Your cap must be shipped Freight. Crated caps can sometimes weigh 200 lbs or more. You're viewing: Chimney Shroud CS115 $0.76 sq. in.